Are you planning on a trip to South Korea this Spring? It was almost a year after my last visit and it still feels like yesterday. Last 2014 I was in South Korea in the month of April which is spring. I am officially in love with Korean Spring time. This year I am definitely going back to Jinhae with my kids so they can see how beautiful the place is. There is no update yet on the expected cherry blossom in Jinhae but I hope it would come first week of April because we are already booked! In any case, I would have the option to check Yeouido as well and enjoy the view of Han River. Last year cherry blossoms in Seoul was a bit late it came mid April. So if this is the same case for 2015 I think we will see cherry blossoms in full from Seoul. If you are planning on a Spring trip to South Korea this year feel free to comment so we can exchange plans. I am so excited with this travel plan. I will strive to share more information for those who are also planning to go on tour this spring. If you want to see the Han, I would suggest a cruise. They are about 15,000KRW and they take you all the way up and down the Han. My wife and I did that a couple of years ago and had a blast! Have a great trip to the ROK! usually its later than Jinhae so proabably mid april. Hi there, my friend and I are going to Seoul in Apr 2015. I hope we will see the cherry blossoms in Seoul. me and my brother is with a high hope of seeing cherry blossoms this 2015. we are set to seoul this march 19-23. are we lucky enough to see the cherry blossoms? a bit too early if you go to Jeju you could probably see one. Hi, I found your blog while planning my upcoming late mar/early apr 2015 trip to korea. Thanks for all the info you provided in this blog and hope you have a nice and enjoyable trip this yr too! My sister and I will be in Jinhae on 8 April and Seoul on 14 April. We hope we able to see the full bloosom in these two places. Any idea when is the expectation cherry bloosom schedule will be out? I think 1-10/4 is the festival itself, not the period when the cherry flowers bloom … am I correct ? it is… the festival is when the cherry blossoms are blooming in peak. but you are correct the festival is actually not about cherry blossoms but the commemoration of the admiral yu. but this usually is held during the cherry blossoms in Jinhae. 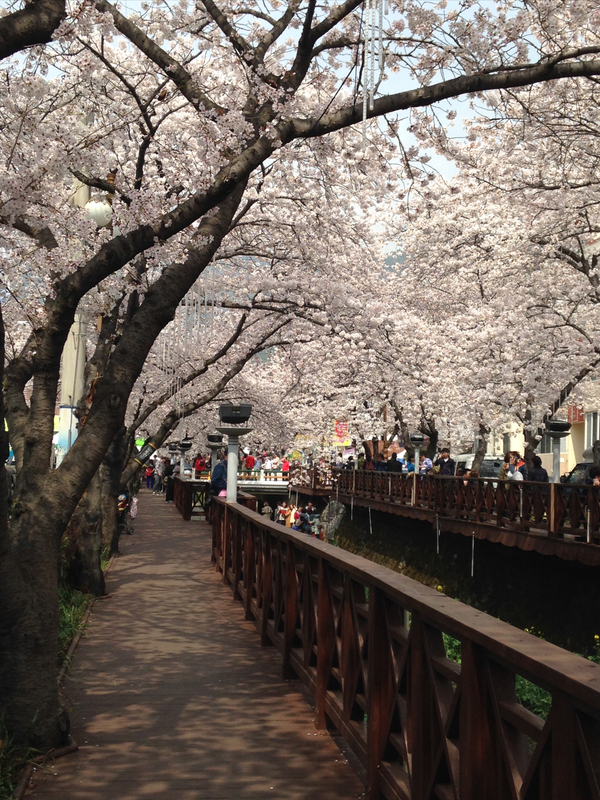 Hey, I will also be heading to the jinhae cherry blossom festival. good timing. you should book now I think during cherry blossoms hotels and even B&B places gets fully booked. Do you know if there is any forecast on the dates that the Sakura will bloom this year ? I’m going seoul in early April 15. hope v can exchange ideas. Hello! I love this post of yours and your photos! I am planning to go to Seoul in Mid April, to go see the cherry blossoms. Any advices? Where to go and my hostel will be in hongdae, any advice how to get around seeing the cherry blossoms? Check out Twin Rabbit Hostel. There are a lot of good hostel in Hongdae just that Twin Rabbit is a favorite. My family will be travelling to Korea from April 1-5 this year. Can’t wait to see the cherry blossoms. Is our timing ok? Hello, I will be in Seoul from 1 – 9 April, planning to do a day trip to Jinhae on 6 April to avoid the weekend crowd. Looking forward! I will be going to Busan and Seoul from 16 to 22 Apr. Any chances to still catch the cherry blossom? Hi! I’m going to Jeju Island on 13/4 & 14/4 and will be at Seoul on 15/4 until 18/4. I guess that is a bit too late for cherry viewing huh? I’m still hoping I can see it though. I will be at jinhae on the 31st of March, we were thinking of avoiding the crowds too. I am just missing two bits of information which I hope you could help. 1. Where can I find out what times the train goes through the gyeonghwa train station? 2. Do they light up the stream on the 31st? Sorry i was not checking the past days but i suppose you enjoyed it if you visited Mar 31. 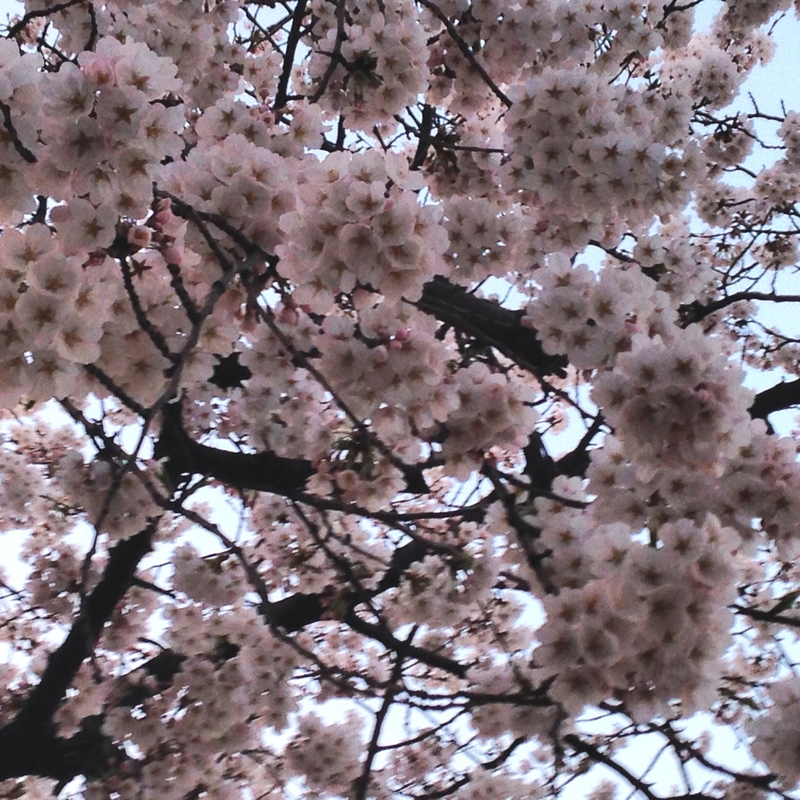 We went to Jinhae April 10 and the cherry blossoms are nearly swept away by winds.